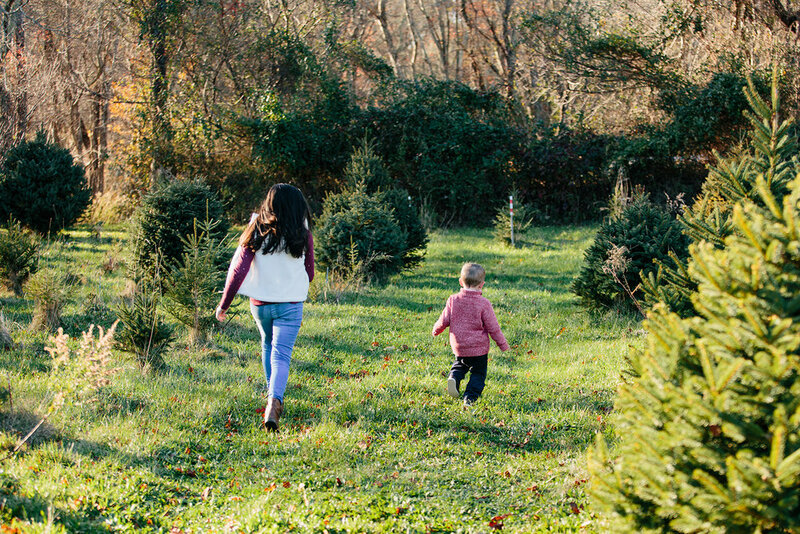 More Christmas Tree Farm photos are on the blog today!! 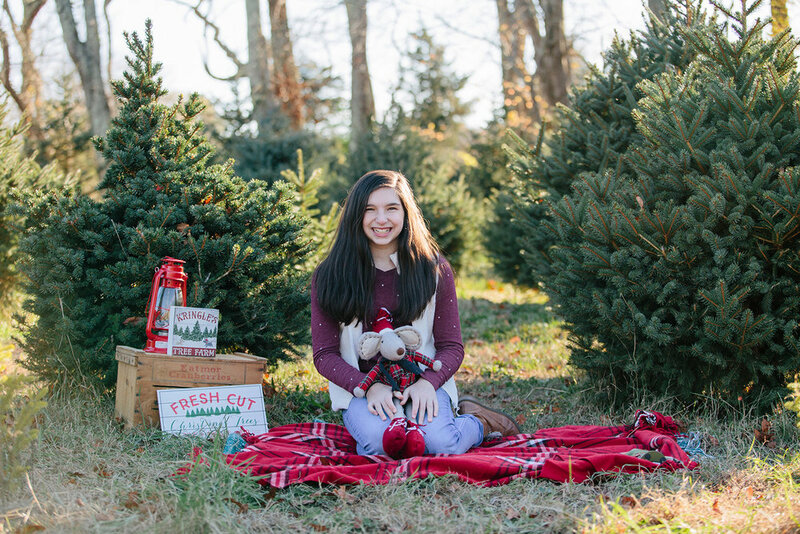 I had 5 wonderful families, and I'm going to try and share each family on the blog throughout the month. I've already shared two others, so be sure to scroll to the bottom and click to view more if you're interested! 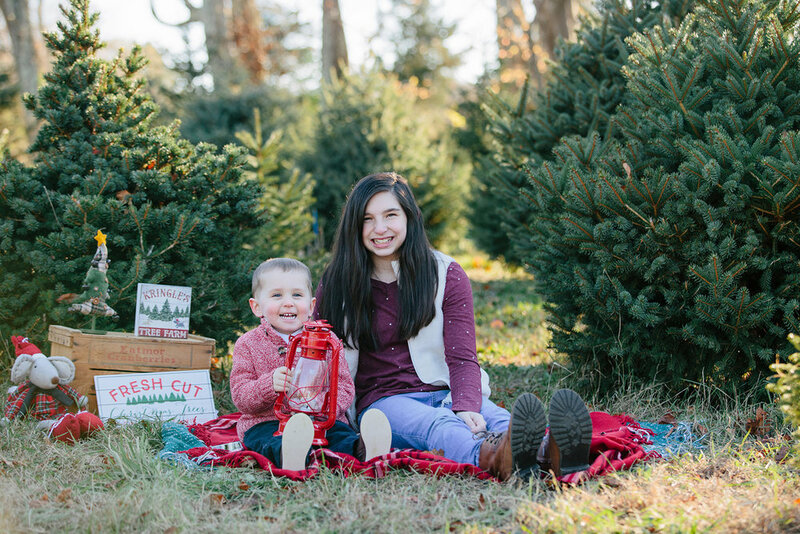 I had lots of wonderful families book their annual family Christmas photos this year with me at Pine Crest Tree Farm in Westport, MA. I truly love being a family photographer, and adore all of my repeat clients, and I loved seeing some new faces this year as well! This next family are regular clients of mine, I usually see a few times a year. This is their third session with me this year, and I always have some fun photographing them! Michael is 3 and full of loads of energy, so he always loves to run around! Sometimes getting the perfect photo takes a lot of patience, especially with 3 year olds! 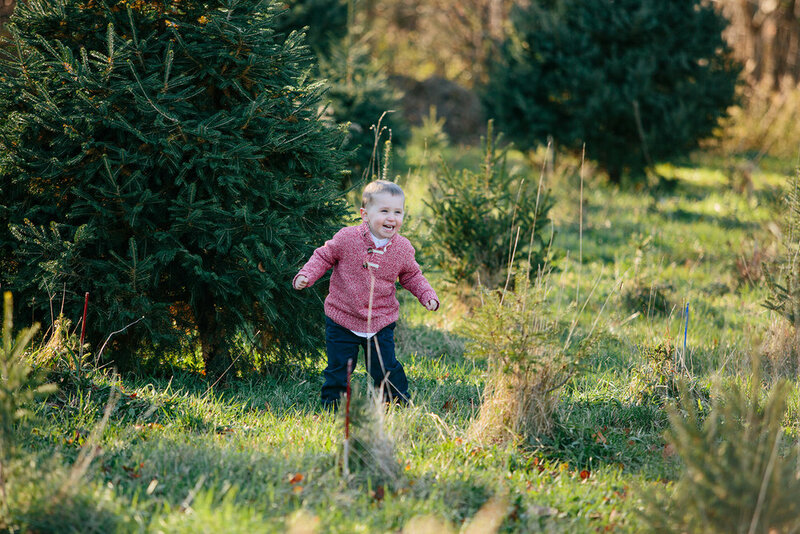 When Michael first arrived for these photos, he did not want to sit, he just wanted to run through the trees, giggling away. I mean, what kid wouldn't?! Sometimes it's fun to let them run around for a bit. I capture some great candid shots of kids being kids, and some real, big smiles! Sometimes it might take almost the entire session before they sit. But, it's worth it. Most people only see the finished result of a photo, not the behind the scenes work from not only myself, but the parents as well. However, all that work really does pay off in the end. I mean how adorable are these photos? !